Think passwords are too difficult to remember or too easy to crack? Well, in some cases, they are. If your password is less than 14 characters in length, a program called Ophcrack can uncover it in seconds, rendering your Windows PC vulnerable to unauthorized access. And if you try to create a more complex password, it's just easier to forget. An alternative is to go more high concept by installing a biometric security system that relies on face recognition as the "password" to access your computer. The creatively named BananaScreen does just that, asking you to "smile" to unlock your computer. Just take a photo of yourself with a webcam and upload it to your PC. Whenever you move away from your computer, BananaScreen will lock your computer. When you come back, it unlocks. 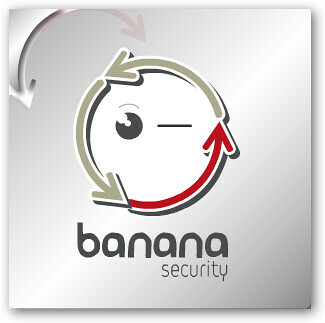 BananaScreen only works on Windows 2000 and XP currently, but a version for Mac OS X is upcoming.